Click here for merchandise questions by email. Sales tax is included in all prices. Shipping and handling is additional. 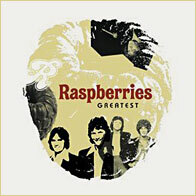 On November 29, 2007, the four original Raspberries visited Grammy award winner Mark Linett’s “Your Place Or Mine” studio and without much fanfare added even more musical history to their legacy by recording their first studio tracks in over 35 years. The results of those sessions - The Who’s “Substitute” featuring Eric Carmen on lead vocals that would make any Who fan proud, and The Beatles’ “No Reply” featuring Wally Bryson on Lead vocals and Eric providing harmonies that together can only be described as AMAZING, clearly add the legendary Raspberries flavor to these two rock classics and are sure to become yet another great addition to this influential band’s contribution to rock music. These two tracks are now being made available via download for a limited time only as part of the Raspberries Deluxe Gift Set, available only on the band’s website. Full 21 song concert DVD PLUS Bonus material listed below. • Downloads of the band’s first recordings in over 35 years: “No Reply” and “Substitute” – PRICELESS!! 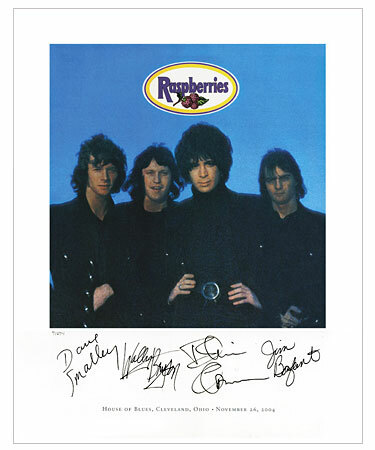 • The “Special Edition” of the band’s highly acclaimed first ever live CD / DVD, “Raspberries Live On Sunset Strip” which includes over 4 hours of bonus material and downloads from the band’s VH1 sessions (previously sold separately for $125.00). • Never before seen "Behind the Scenes" video footage taking you on an exclusive journey with the band from their first reunion rehearsals… to watching the band from behind the curtain as they get ready for the historic 1st reunion show… to their 1st live performance in over 30 years of “I Wanna Be With You” recorded at The House Of Blues in Cleveland, Ohio! • Never before seen one on one interviews with each band member from the VH1 Classic “Hangin’ With” sessions! • A rare audio recording from the original masters of a 1973 Armed Forces Radio Network concert and interview from Germany, featuring the previously unreleased “Raspberry Jam”! Audio remastered by Mark Linett. Also, you’ll now be able to watch rare home movies shot by Jim Bonfanti during the band’s European and US tours and see behind the scenes footage from The Record Plant studio in NYC while the band was recording their classic “Side 3” album - all while you listen to this concert! • The complete pre-show video montage that began each of the reunion shows. • Music/Video recorded during the VH1 Classic “Hangin’ With” sessions never available until now! And... you'll now be able to get this feature online! Upon ordering this set you’ll receive special access to download these unreleased performances and features. The 1st download: Overnight Sensation (Hit Record)! (not available on DVD). • A very special audio recording of “It’s Cold Outside”, recorded live at Cleveland’s Scene Pavilion July 15, 2005 produced by Mark Linett which is accompanied by a slide show featuring images from that concert! All U.S. orders will be shipped USPS Priority Mail. Buy the gift set NOW for the sale price of just $39.95 plus shipping. 11X17, suitable for framing. 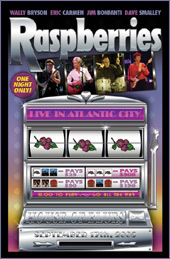 Poster includes a beautiful 2007 concert photo by Gene Taylor, a band discography with cover art for each release and complete track listings. museum-quality paper, each print is hand-numbered to further preserve its collectibility. They said it would never happen. They were wrong. Jim Bonfanti, Wally Bryson, Eric Carmen & Dave Smalley—the original Raspberries—last performed together on stage over 30 years ago. Now, they are reunited to “Go All The Way” again. 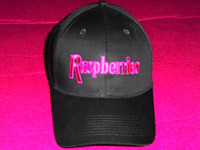 ?Order Raspberries TONIGHT! and join them during rehearsals, on stage and backstage as they mount a comeback that defies the odds! It's the ultimate souvenir of an historic once-in-a-lifetime reunion! 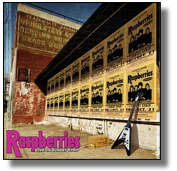 Check out these two solo CDs for GREAT NEW music from original Raspberries members!